How Do Healthy People Think? 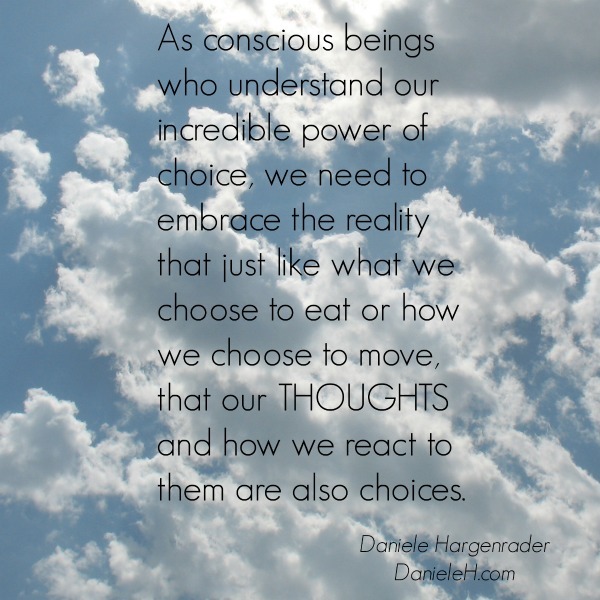 As conscious beings who understand our incredible power of choice, we need to embrace the reality that just like what we choose to eat or how we choose to move, that our THOUGHTS and how we react to them are also choices. 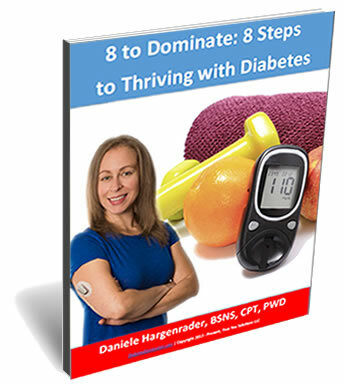 As someone who has been on both sides of the track of health, once being completely unhealthy, addicted to food, and out of control, and now an athlete, I completely understand both sides of the “controlling our thoughts” challenge. We cannot always choose the exact thoughts that pop into our minds, but what we can ALWAYS control is our reaction to them and how much attention and focus we direct towards them. When we have negative thoughts that we cannot immediately take action to change or improve, we must actively and intentionally not grasp onto them, to not allow them take hold and loop around and around. We must choose to acknowledge that the thought is there without harsh judgment, QUICKLY decide if we can take action to improve the thought or situation, and if not, direct our focus back to what we DO want to manifest in our lives, not what we don’t. We often have specific thoughts that are attached to specific circumstances in our lives that play on repeat or autopilot. If we take the initiative to change the way we perceive any circumstance, such as seeing something as a challenge instead of a problem, we will in doing so change the types of thoughts we have about that circumstance. This process also forces our brains to automatically produce more realistic ideas for and solutions for these challenges. One of the major components of actively and intentionally choosing our thoughts is choosing the language we use when we talk to OURSELVES. We are all our own worst critic, and it is too easy to say negative things to ourselves when we don’t live up to our often unrealistic standards that we set for ourselves. Our brains and our bodies work together like a 2 party government; without the involvement of both parties moving in the same direction with the same goal in mind, most likely not much progress will be made. When we use negative or derogatory language to speak to ourselves, our body reacts physically. The more frustration, anger, sadness, hopelessness, or any other negative feeling you use to fuel your language that you use, the more cortisol your body produces on a regular basis. Cortisol (aka the stress hormone) promotes weight gain, especially in the midsection, and promotes a whole host of other reactions in our bodies that take us further and further away from our goals. We must decide to make our health a top priority if changing the state of our health is our goal. Deciding to start a new health related program without specifically rearranging our current priorities is self-sabotage! If we don’t change our current priorities which are the priorities that got us to where we are now knowing we need to change, it’s just plain nonsensical! We cannot reach a new goal or destination without changing the priorities in our lives to reflect our desired destination. We must accept that putting our health first is NOT selfish, but an act of generosity towards ourselves AND everyone we care about that will allow us to connect even more deeply with every other aspect of our relationships and our lives. Planning ahead is by far one of the most powerful things we can do to propel us towards our goals. Even though the plan will almost never go exactly as we think, the simple act of sitting down and scheduling the week will automatically change the outcomes of the upcoming week. Scheduling things (workouts, meal prep, gratitude sessions, etc.) make them REAL instead of just random thoughts bouncing around in our heads. Treat excuses as any thought that we have the ability to choose; acknowledge that it’s there, and then push it out and re-focus on the task at hand. It really is that simple as long as we stay willing to ACT. What healthy thoughts do you cultivate on a daily basis? Let me know in the comments below!